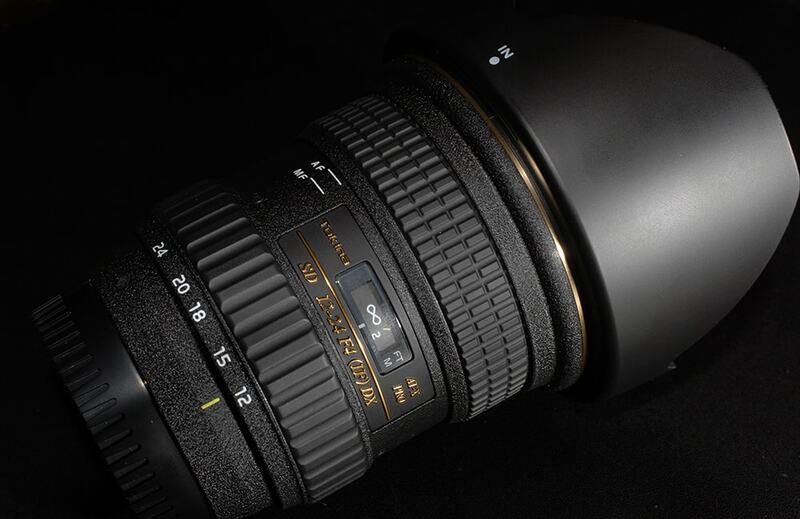 Recently I acquired an addition to my Nikon arsenal: the Tokina 12-24mm wide-angle zoom lens. I've been wanting to buy into the wide angle range, but was held back by the €900+ price tag of the Nikon 12-24mm. That really made sure I wouldn't be getting it any time soon, and I shelved my need for a wide-angle. A couple of weeks ago, my interest in wide-angle resurfaced, as I spoke to a salesguy from Kamera-Express. Besides his entertaining rant about Canon and Nikon build quality and his insistence that Olympus was the best D-SLR manufacturer in the world, he did raise a valid point on 3rd party lenses being excellent alternatives to Nikkors. Owning an old Sigma 17-35 lens, I'm really not a fan of 3rd party, as the lens is plastic, flimsy and not remotely sharp. After doing some research, I discovered several 3rd party wide-angles, of which the Tokina 12-24 really caught my eye. Reviews spoke of excellent build quality (no plastic) and a really great budget alternative to the Nikkor. Ordering the lens was no easy task. I usually order straight wholesale, but all three suppliers didn't have any, and didn't know when they'd get it again. Even the Dutch Tokina importer didn't know when he'd get the next load. So after a few weeks, when I saw Kamera-Express had it in store, I immediately placed an order. It was delivered two days later. The lens is a 18-37mm on 35mm format, which doesn't mean much to me. The main reason for buying the lens is the 12mm. When photographing in enclosed spaces or crowds, I found my 17-55 didn't go wide enough. The shape of the lens also means you can create very dynamic effects. Having used the lens a couple of times now, I can say I'm really impressed by the possibilities it creates and how well it performs. One thing to remember: Wide-angle shouldn't be used all the time. It's a novel effect no ordinary digital camera can recreate, just like shallow depth-of-field. You really have to assess a situation, and decide if it will be appropriate. It's quite easy to overuse. Nevertheless it's a great lens, and great fun to use.